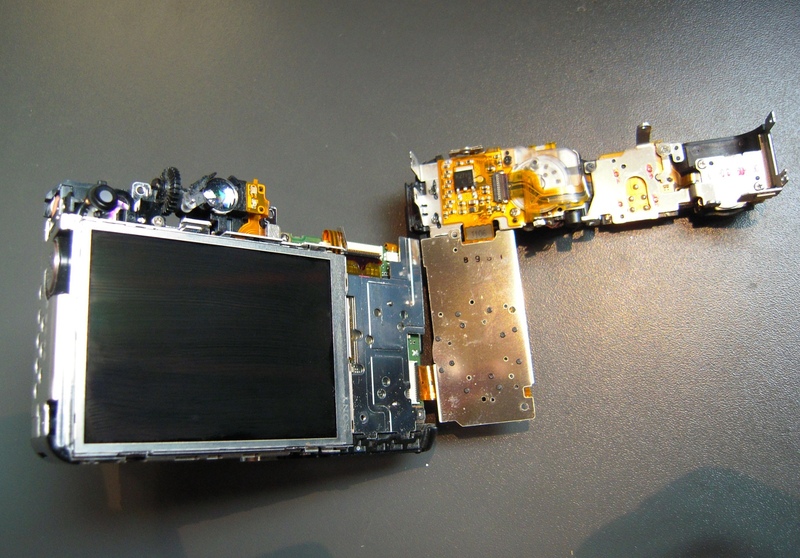 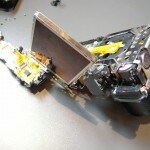 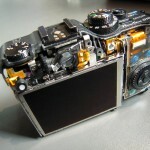 Please be aware that opening the shell of your camera may void the warranty. 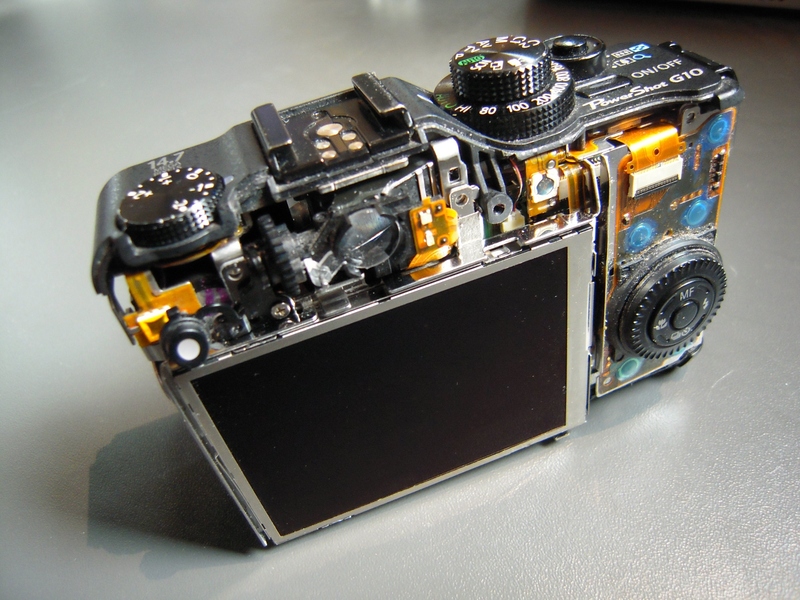 This said, if you’ve owned your Powershot more than two years and did not purchase a guarantee extension, chances are your camera is not under guarantee anymore anyway. 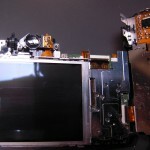 All the small screws can be taken care of using a very small Phillips type screwdrivers. 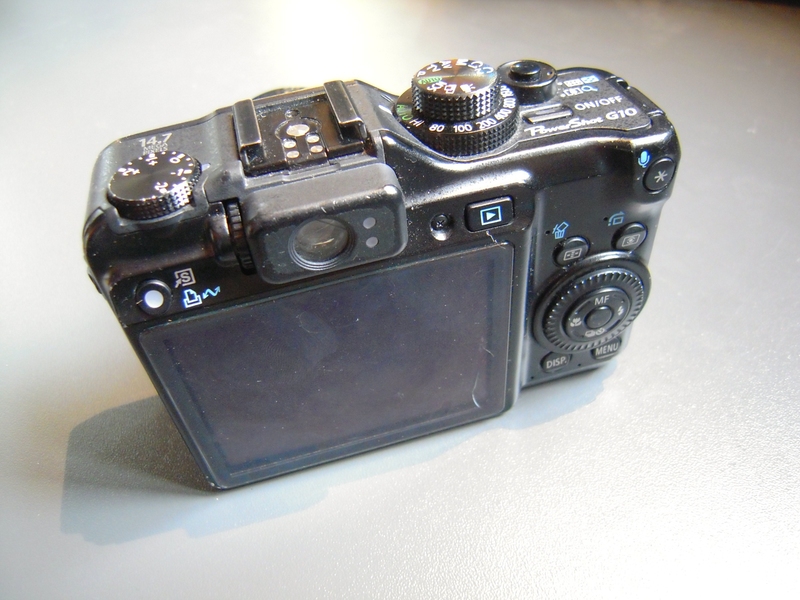 A total of 7 small black screws hold the front and back shell assembled to the camera internal metal frame assembly. 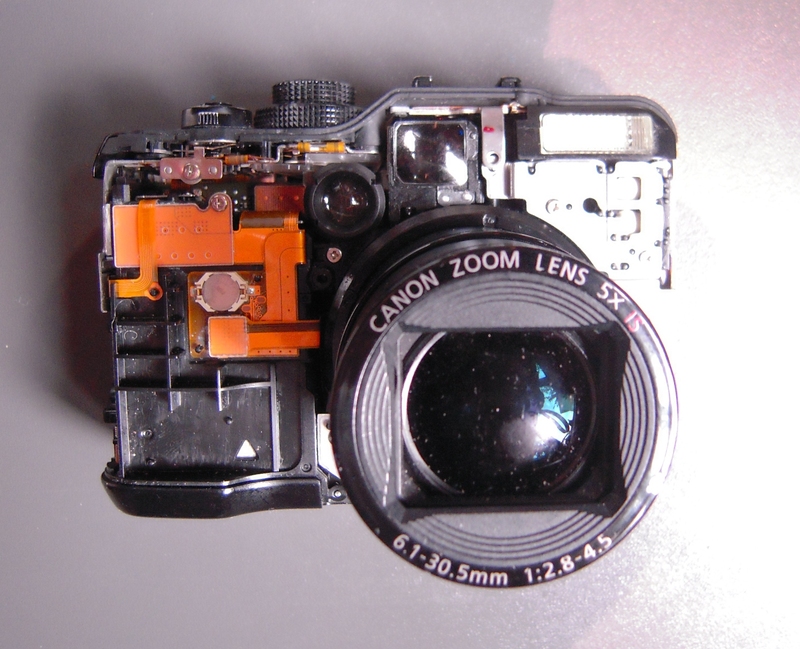 Once those screws are removed, tightly pull the front and back plastic shells apart to reveal the internals of the camera (see pictures). 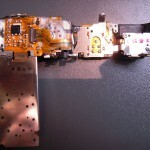 About a dozen tiny silver screws still have to be removed to gain the inside view featured on the photographs. 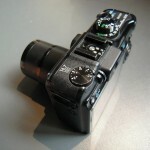 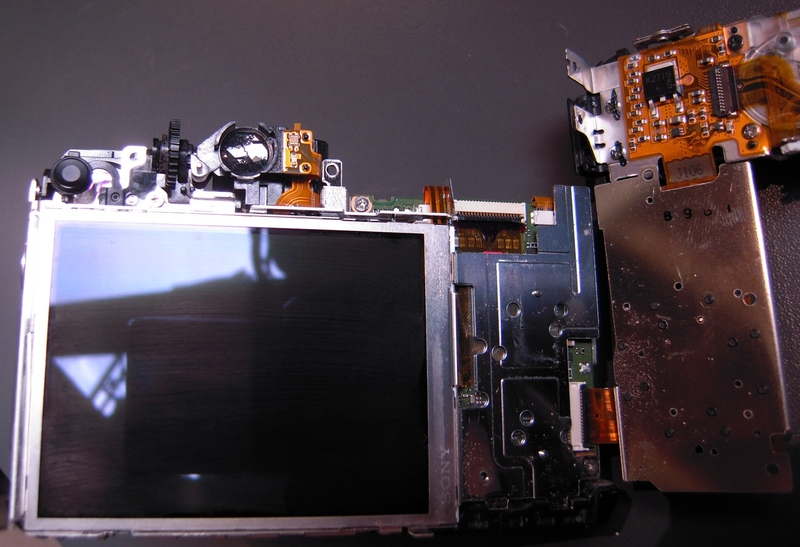 Apart from the backside Sony manufactured LCD screen which seems easy enough to service, no part of the lens mechanism is easily reachable without completely disassembling the camera. 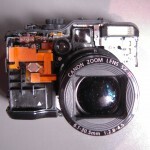 Inside of my Canon G10 lenses has a fungus., there is a way to get it clean ? 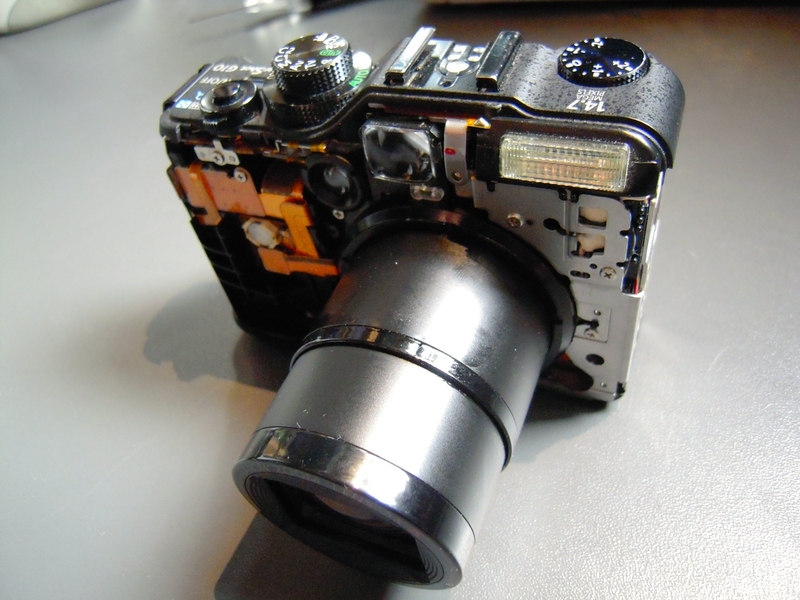 and how…I want to disassembly to get inside of the lens. 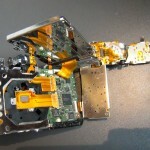 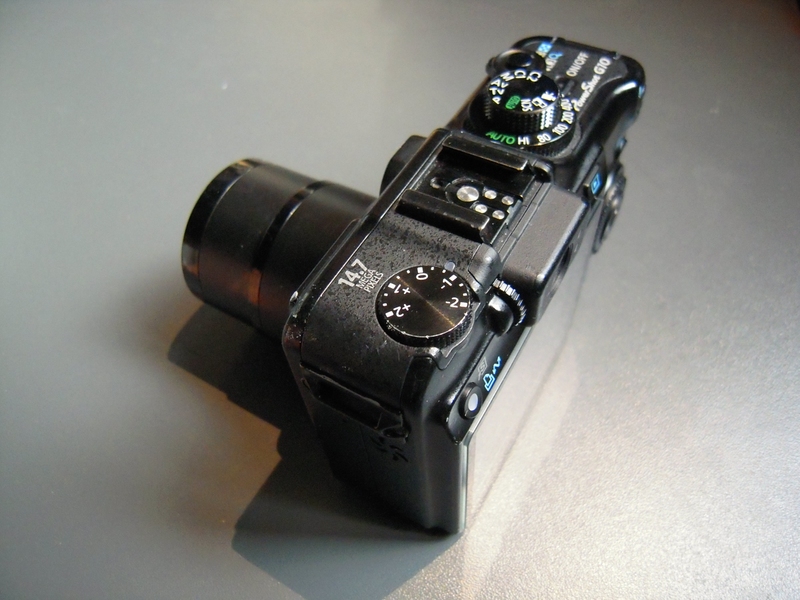 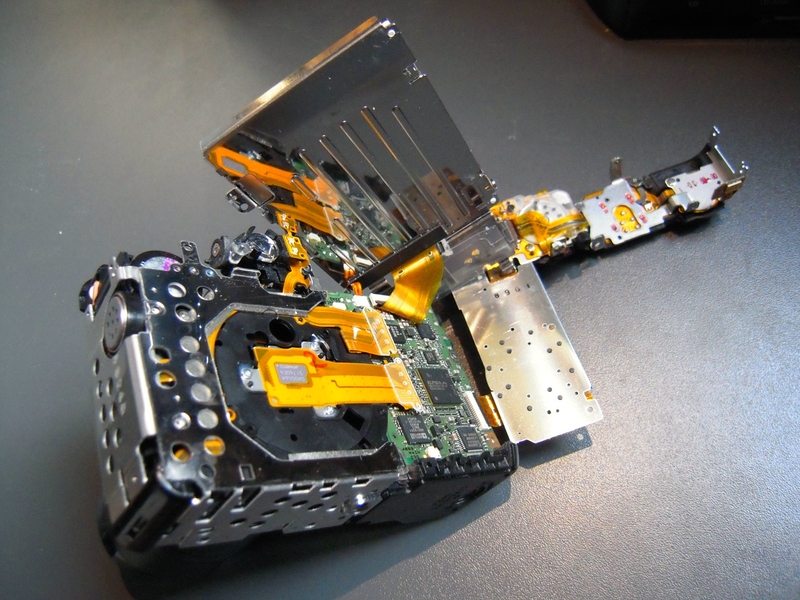 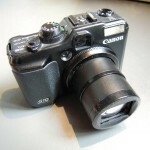 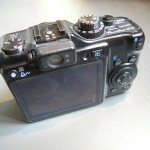 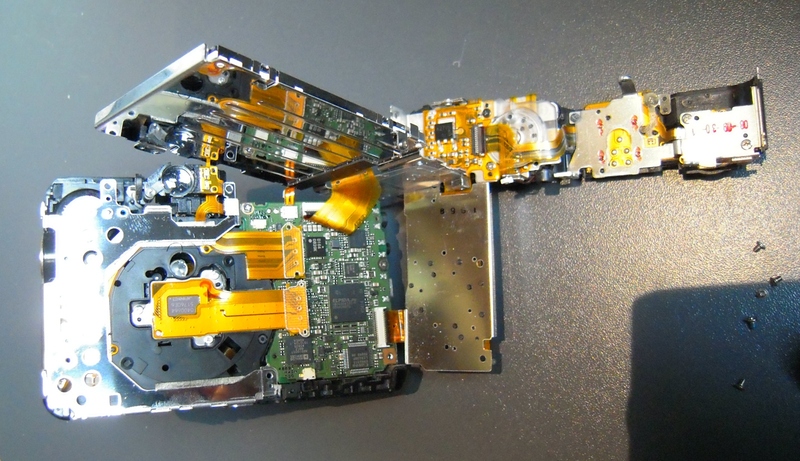 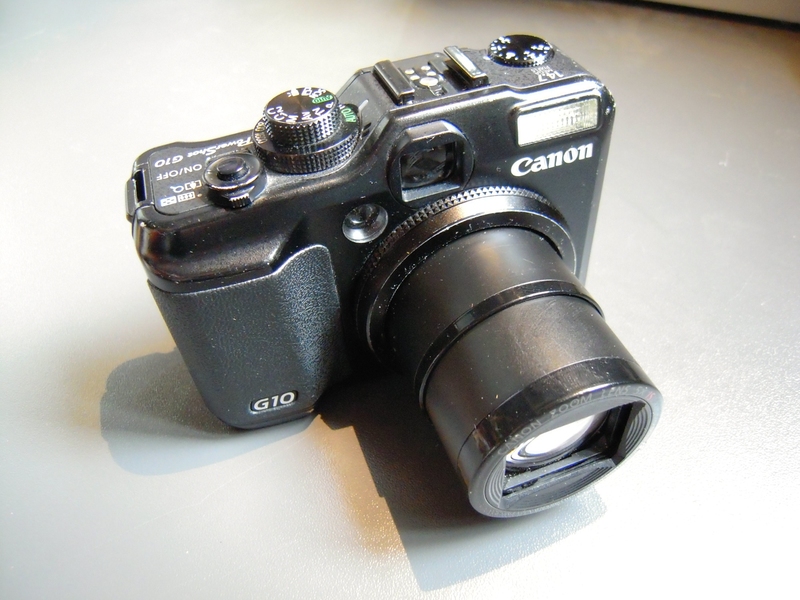 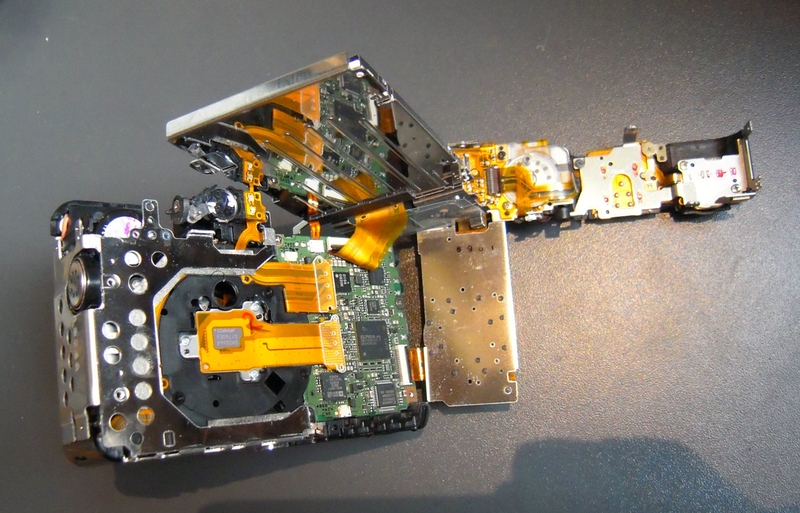 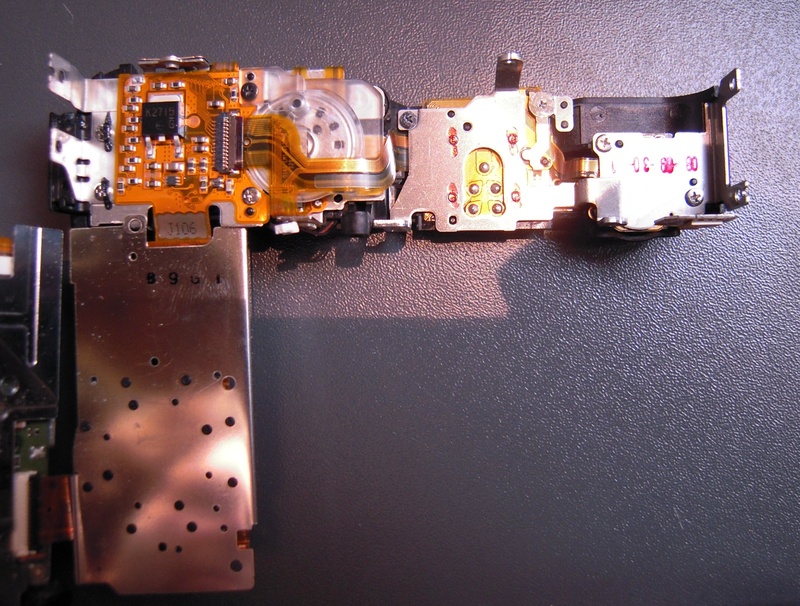 There is no self-serviceable part inside the Canon G10. 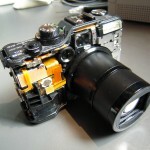 There is no way you can disassemble the lens without breaking it. 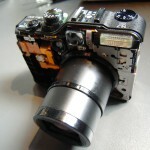 You should probably bring back your camera to an authorized service outlet to have it fixed. 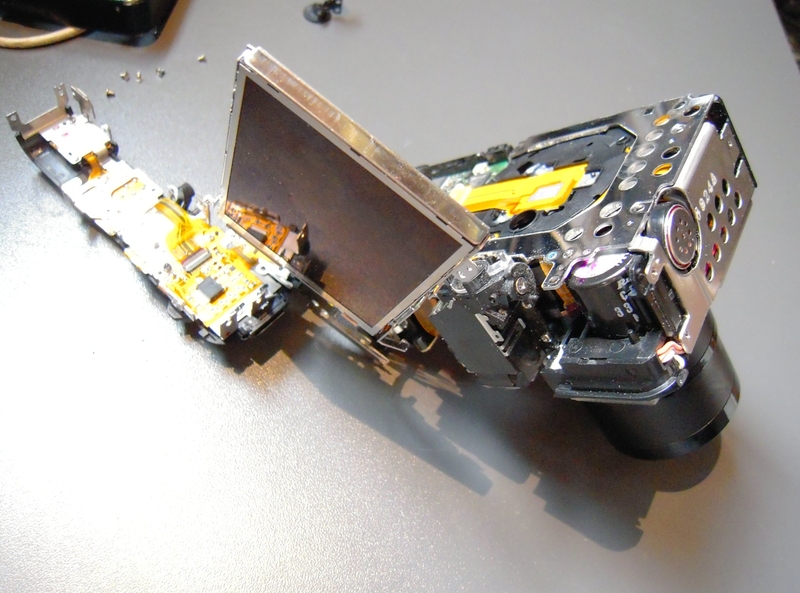 I’m not even sure they can do anything about it. 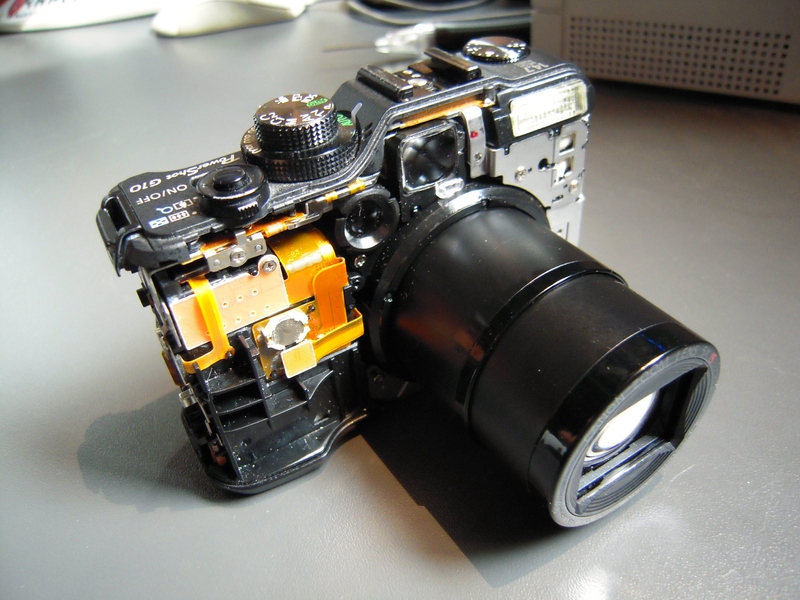 Probably just replace the lens or the whole camera. 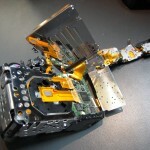 Don’t try to open it yourself or you will break it, that’s for sure.